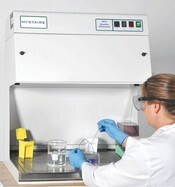 These Downflow Workstations are designed as stand alone, ductless units that protect workers from powders or fumes. 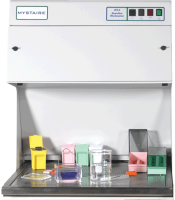 The workstation’s open design allows for close inspection of samples while maintaining a high level of operator protection. Particles or fumes are drawn downward through the stainless steel work surface and contaminants are removed by a series of filters. After the fumes or particulates are filtered, clean air is returned to the room. 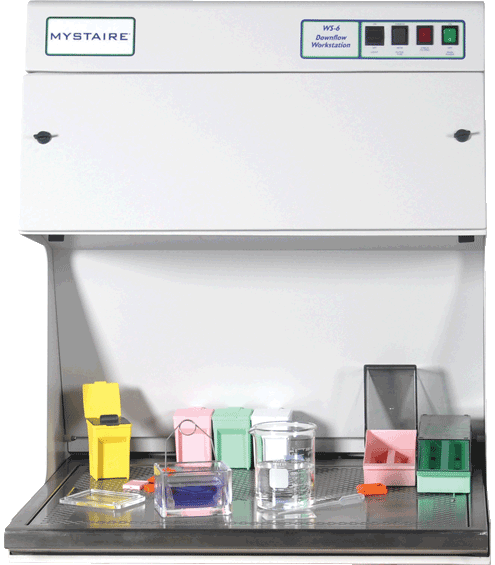 Typical Applications; Histology, Microscopy, Latent fingerprint dusting, Dissections - Biology, Cover slipping, Tissue cutting, Slide staining.